Polartec® is a GLOBAL PROVIDER OF INNOVATIVE TEXTILES SOLUTIONS used by today’s leading brands and designers. For more than 100 years they have been creating advanced fabric technologies that continue to shape the future of apparel design and performance. POLARTEC FOREVER CHANGED THE WAY THE WORLD DRESSES for cold weather with the invention of Synthetic Fleece in 1981. Most commonly known today as “POLARFLEECE” this revolutionary fabric technology created an entire new category of fabric and set the precedent for how the brand would evolve. Today, Polartec remains dedicated to creating full lines of fabric technologies designed and engineered to keep people WARM — DRY — COOL — SAFE. 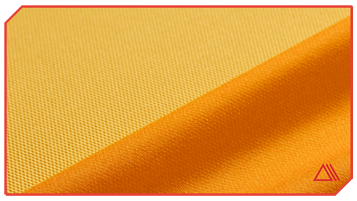 These products range from lightweight wicking and cooling fabrics, to insulation and weather protection textiles, and are utilized by leading consumer brands, the U.S. Military and other global militaries, flame resistance, workwear, and contract upholstery markets. WAS CREATED SO COOLING FABRIC TECHNOLOGIES COULD BETTER UTILIZE THE BODY'S NATURAL COOLING PROCESS — SWEAT. Next-to-skin fabrics that target wicking and fast drying will keep moisture moving, but don't work towards actually cooling the body down. Delta™ works more efficiently by elevating touch-points for increased airflow, faster moisture dispersal, and reduced wet-cling. IS A REVOLUTIONARY, BI-COMPONENT KNIT FABRIC THAT COMBINES THE BEST OF BOTH NATURAL AND SYNTHETIC FIBERS, ALL WITHOUT BLENDING. The industry standard of blending wool and synthetic yarns together often hinders the greater performance qualities of each material. 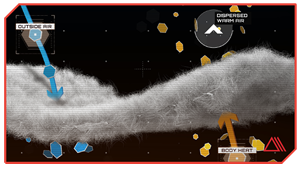 Power wool's advanced knit construction places each distinct fiber where it can work to its highest potential. This hybrid design is made with a soft, odor reducing, merino wool base and a highly durable synthetic exterior. IS A PREMIUM SOLUTION FOR PACKAGE INSULATION DESIGN NEEDS MADE FROM AN INDUSTRY-LEADING 80-100% POST-CONSUMER RECYCLED (PCR) CONTENT. This proprietary platform provides greater warmth retention in colder conditions, without added weight or bulk– ideal for a variety of activities where body heat can’t ensure proper warmth. 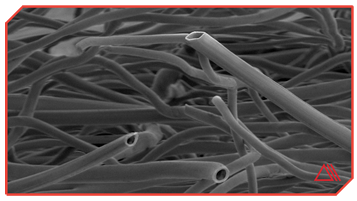 A unique controlled melt process bonds the hollow fibers, increasing durability and drapability, reducing the need for scrims or other stabilizers. This gives Power Fill™ unmatched warmth and design versatility, perfect for a wide range of style and usage occasions. WAS INVENTED FOR THE U.S. SPECIAL FORCES. 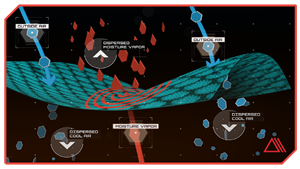 THEY REQUIRED A SUPERIOR INSULATION SYSTEM FOR EXTREME TEMPERATURE VARIATIONS AND THE START-STOP CONDITIONS OF COMBAT. Alpha® active insulation is engineered for consistent warmth, while allowing greater breathability during activity. This air exchange technology creates sustained comfort without shedding layers, which isn’t an option during a mission. 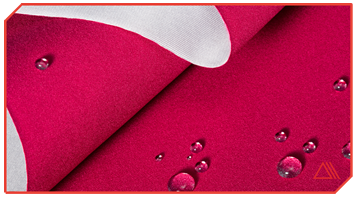 POLARTEC® NEOSHELL® IS THE WORLD'S MOST BREATHABLE WATERPROOF FABRIC TECHNOLOGY. For years the outerwear industry has prioritized excessively high waterproof ratings that sacrifice the breathable performance needed during physical activity. NeoShell® provides the strength and durability of a weather protective fabric, while still allowing dynamic air exchange and comfortable full range of motion. GET CONNECTED AND LET’S CREATE.